We are happy to announce the arrival of our first “in 60 minutes” publication, free of use! “Agile Inception in 60 minutes” is a collection of strategies and techniques for accelerating business level output needed to initiate agile releases and/or projects. Whether your context is a single team or a multiteam, scaled delivery enviroment these agile inception strategies can help you with the crucial pre-release planning questions regarding the business model and product attributes that agile teams need in order to get off to a flying start. 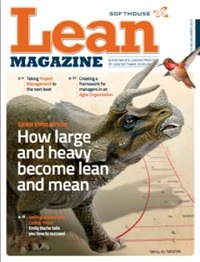 This book is a free publication from the Swedish company Softhouse Consulting AB who also publishes the Lean Magazine. You can also get a print on demand version via www.issuu.com. 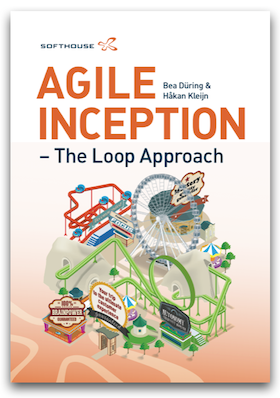 We hope you enjoy reading “Agile Inception in 60 minutes” and that you have use of the strategies and techniques in your agile context! Please share you comments on the blog or on Twitter: #2centsonagile or post questions on the topics covered in the book. Bea Düring works as a senior agile coach at Softhouse Consulting with emphasis on change facilitation, agile requirements and distributed development. Since 1999 she has been working with/coaching organisations within IT/telekom and the public sector as well as working with EU-funded Open Source projects.